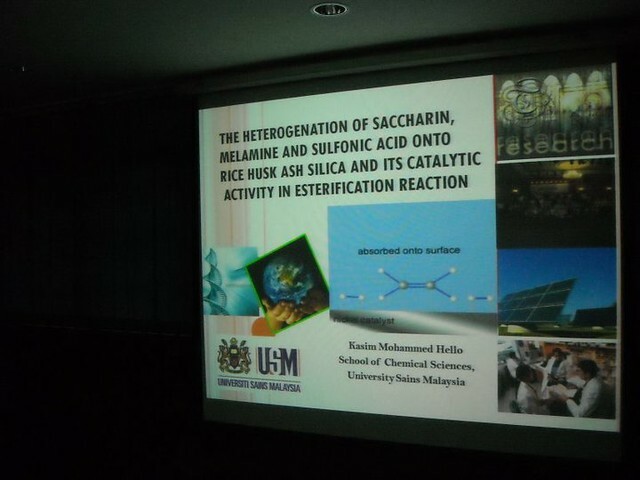 I was an external examiner of PhD student of School of Chemical Sciences, Universiti Sains Malaysia on 11 November 2010. Unlike at my university (Universiti Teknologi Malaysia), viva voce here were attended by the dean, and two internal examiners, and the students. 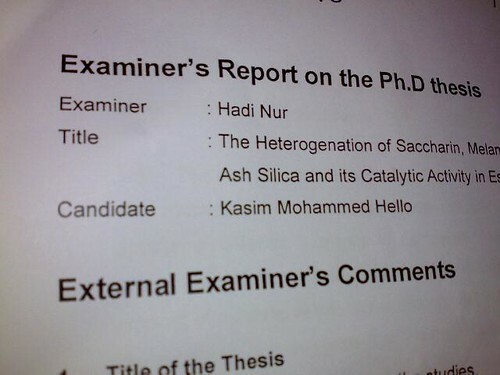 Bravo Dr. Hadi Nur…… Doktor memang hebat….